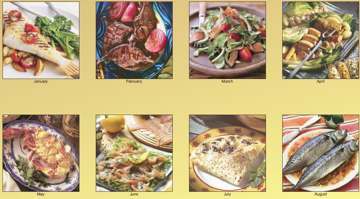 This high quality, yet budget-priced Fine Cuisine customized calendar has 12 exquisite, high resolution pictures with recipes of fine meals, printed on top quality glossy paper. Free artwork design. We will send you a proof for your approval before production. It has bilingual dates (English and French). 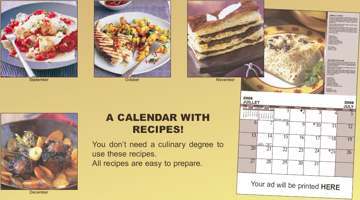 You may combine them at no cost with other Wholesale Personalized Calendars , as long as you order a minimum of 50 of each model.